Sauber F1 has been around for decades, but there has been a lot of rumbling lately about its imminent demise unless funding was acquired. A trio of Russian companies just stepped in to help, and they may also have opened a spot for a 17-year old Grand Prix driver. Sergey Sirotkin, a 17-year old Russian driver, is the son of Oleg Sirotkin. Oleg Sirotkin is the head of the National Institute of Aviation Technologies, which is one of Sauber's new backers. 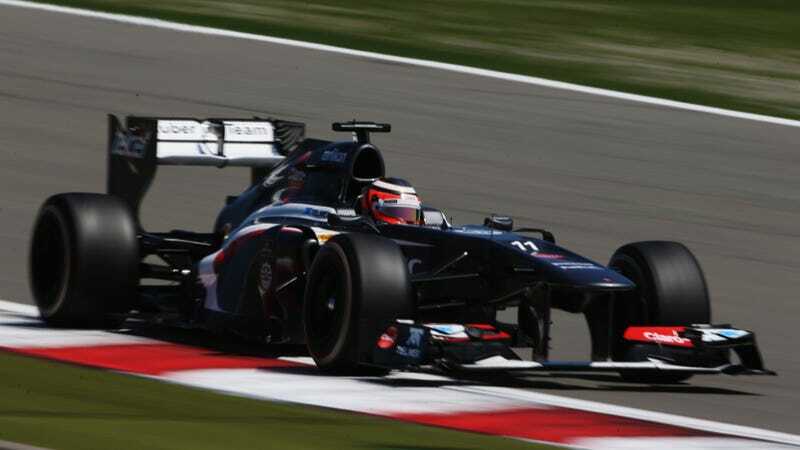 Part of the deal is the Sirotkin's son will start testing for Sauber this year as a reserve driver, with an eye towards a race seat in 2014 if all goes well. He'd become F1's youngest ever driver, beating Jaime Alguersuari by nearly two years. Sirotkin has been successful in lower formula like Formula Abarth and Formula Renault. That doesn't give him much experience behind the wheel, which makes him similar to Kimi Raikkonen. Raikkonen only had 23 car races under his belt before he went to Sauber in 2001. The Kimster was 21 when he started in F1 though. Sirotkin is not close. If he gets the green light, it'll mean he's ushering in a new era of unbelievably young F1 talent. Look for an infant to be testing a GP3 car within the next year. That begs a question: How young is too young to race in Formula One?